Thunderstorms, heat, humidity…yep, that sounds like an Alabama summer. Whew it’s a hot one this week, cattlemen, so we encourage you to wear your sun gear and pack extra water as you head out to the hay fields or the weaning pens. Don’t overdo it! While the past couple of weeks have been relatively quiet compared to the usual madness here in downtown Montgomery, staff is enjoying a time to catch up, handle housekeeping tasks and prepare for a busy fall to come. Keep reading to learn more about what’s happening here at the state office and stay informed with the work your Cattlemen’s Association is up to on your behalf. Don’t miss out on all the fun and awesome prizes! Join us in Montgomery to show what you know and make lifelong friends. AJCA membership is required to participate in the AJCA Round-Up. If membership is not current by July 15, your credit card will be charged the membership fee of $15. You can view the 2018 contest rules, a schedule of events or the director application by clicking the links below. Registration is now available online and closes June 29 at 11:55 p.m. Cold calls to association non-renewed members are under way as we are only 100 members away from our 2018 membership goal!! Help us get there by sending in your county memberships you’ve been holding onto. Several phone conversations have revealed to us that alleged non-renewed members have, in fact, paid and the counties have not sent in those dues. yet! Memberships need to be entered or postmarked by Saturday to help us meet our 2018 goal!! As a board member for the Alabama Agribusiness Council, Erin Beasley spent the first half of this week at the organization’s annual meeting. The council is comprised of a wide range of companies involved in agriculture and the conference featured several speakers in the industry. The awards dinner honored three very special individuals who have had a major impact on Alabama agriculture and rural Alabama. Gov. Kay Ivey received the AAC Distinguished Service Award, and Sen. Clay Scofield was named the Legislator of the Year. Retired ACA Executive Vice President Dr. Billy Powell was honored with the Heritage Award for his many contributions to the council since its inception. Congratulations Dr. Powell! Erin will take part in interviews today for a position open on the Environmental Management Commission which sets statewide environmental policy. The position is looking replace a professional engineer who recently completed a term. ACA’s Erin Beasley and Michael Agar will attend the Alabama Livestock Marketing Association meeting next week in south Alabama to provide an update about the association to stockyards. A new card was recently printed for stockyards to highlight benefits of the beef checkoff and tips from Alabama Extension on marketing calves. These cards will be provided to stockyard owners at this meeting. We appreciate the invite given to us by members of the Alabama LMA and look forward to visiting with our state’s livestock market owners. I4A TRAINING VIDEOS- COMING SOON TO A WEBSITE NEAR YOU! Still a little confused on how the new membership software works? Don’t worry. We’ve got your back! In preparation for the 2019 membership year heading our way July 1, ACA Member and Producer Contact Coordinator Jessica Kennedy began re-making i4a software tutorial videos. As many of you may remember, videos were made before then taken down because of necessary changes that had to be made in the program! We’re over that hump now, though, and 4 new videos are in the works and include a software basics 101, how to add a new member, how to renew a member and a merging video. These will be handy to have once we start putting in ALL those new and renewed members in 2019!! As soon as they’re complete, Jessica will share the link with county leaders. 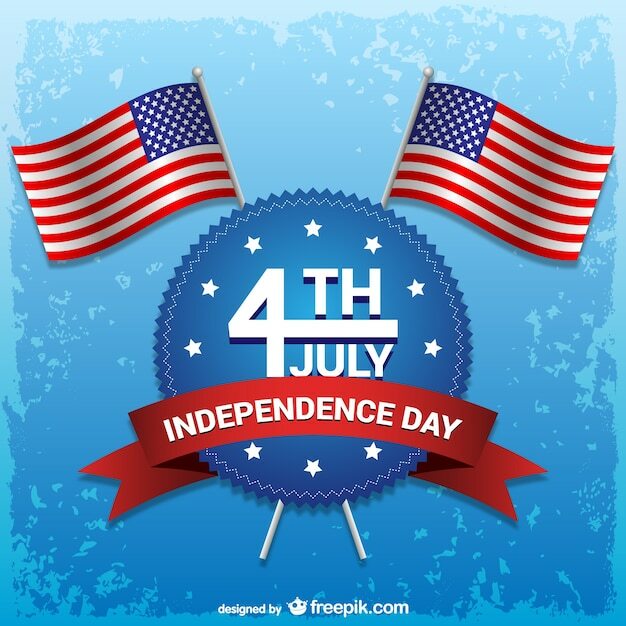 The Alabama Cattlemen’s Association and The MOOseum will be closed Wednesday, July 4 in observance of Independence Day. Normal office hours will resume Thursday, but this means the blog will skip a week! We’ll catch back up with you on all the important updates on Wednesday, July 11. We pray your family has a safe holiday and enjoys lots of delicious, nutritious beef! If someone told us that this week marked the first official day of summer…we’d absolutely believe it. WHEW! Someone turned up the heat and humidity here in Sweet Home, but that’s not anything to surprise us, right? Thankfully, fairly dry weather has allowed many-a hay bales to be rolled and stored away, and green grass and shady naps are keeping our cattle entertained most of the day. It can never be said enough, but we appreciate your work, especially during the dog days of summer! Your ACA staff is at work, too. We’ve got a lot going on and even have a new face in the office as of this week. Keep reading to learn more and stay cool out there! This week, ACA staff is thrilled to welcome Ali Cantrell to the Cattlemen’s team here in Montgomery. A recent graduate of Texas A&M University where she earned a masters degree in meat science, Ali comes to us by way of her home in Weatherford, Texas. She will take on the role as the new “Beef Girl” and fill the big shoes left behind by Erin Beasley as director of education and outreach. We are very excited to have Ali on the team and know she will fit into her new role nicely! We encourage you to send Ali a welcoming email introducing yourself and your farm. She’s a long way from home and a big dose of that “Southern hospitality” we Alabamians are famous for could do a girl some good! Ali didn’t waste any time this week getting introduced to her new job! On Tuesday and Wednesday, Erin Beasley loaded her up and hit the road to visit several retail, foodservice and culinary partners that work with the ACA. Ali will be introduced to Sysco Central Alabama, Western Supermarkets, Wood Fruitticher, Drake State Culinary School and take part in a ladies program given by the Madison County Cattlemen’s Association. We appreciate Bill for his continued service to Alabama’s cattlemen. Hopefully a resolution will be made by July 6 as commodity prices are already reacting to the instability generated by these talks. Immigration is supposed to be voted on today in the House, and that should open up a pretty clear path for the Farm Bill to come back to the House floor for a vote later this week. The Senate is currently working on the bill as well. As many will remember, the House voted down the original Farm Bill proposal last month. The ACA is signed onto a letter, along with all other Cattlemen’s Associations across the nation, encouraging House members to vote YES when the bill reaches the floor. This afternoon, the Checkoff staff will gather at Smiley Brothers Specialty Foods in Pelham, Alabama along with Regional Vice President Jim Miller and Birmingham-based food critic Cassandra “Joy” King with Dining Out With Comedienne Joy. The group will visit with owners and chefs at the restaurant, present them with a plaque to commemorate the award and try out those delicious-looking filet kabobs. Be watching out for a photo in an upcoming issue of the Alabama Cattleman. Erin Beasley and Ali Cantrell enjoyed a night spent with the Madison County Cattlemen’s Association. On Tuesday, the chapter hosted a Ladies Night at Henry’s Mustang Cafe where Chef Henry cooked up some delicious beef recipes from the Beef. It’s What’s for Dinner. website while Erin described the cuts used to create these appetizers. The night opened up with a great discussion about the nutritional benefits of beef and how to easily incorporate it into your tailgating menu. Last week’s 2nd annual Slim’s Summer Picnic at The MOOseum was a hit!! We welcomed over 340 visitors to our event where we had games, hamburgers and even a photo op with a bull named Silver. The MOOseum Coordinator Kara Harden would like to extend her gratitude to the Wyatt Sasser family of Convington County, Will Jordan and Silver the Brahman Bull of Clay County and Randy and Nancy Ray and the Justalil’ Rodeo Company team from Pike County for their help in making the event such a success! Following a very busy week in Montgomery last week, this week is one for playing catch up and turning our sights toward new projects and programs. Next week bring a whole host of beef promotion, new faces around the office and some last calls before deadlines. Take a break from the summer sunshine, cool off from a busy day on the farm and take a moment to learn about all you need to know to stay updated with the ACA. The ACA took part in a Food Defense and Agriculture Security meeting today with the Department of Agriculture. Executive VP Erin Beasley and ACA Director of Industry Relations & Youth Programs Michael Agar attended the meeting to represent the beef cattle industry. The group discussed ways to improve food and ag security detail and educating producers on measures they can take to ensure a wholesome and safe food supply. We are excited to present the 2nd annual Slim’s Summer Picnic happening at The MOOseum on June 15 from 11 AM – 2 PM. The MOOseum Coordinator Kara Harden has been hard at work lining up events for little buckaroos to enjoy, and she’s excited to announce that Justalil’ Rodeo Company will be here hosting all their fun Western-themed games and activities. We’ll also be grilling burgers and having a fun competition for whoever brings the biggest crowd! If you’ve got little ones that want to enjoy the cowboy fun, give Kara a call at (334) 265-1867! If you’re a Pandora Radio fan, you may just hear the sound of the sizzle on your next advertisement. As of Friday, June 15, the Alabama Beef Checkoff will be sponsoring a two-month-long summer grilling promotional campaign that puts beef on consumers’ minds. The ad is targeted to reach millennial consumers in Alabama’s four main media markets including Madison, Jefferson, Montgomery and Baldwin counties and those who are out and about doing all the fun activities of summertime. The ad features the voice of the Beef. It’s What’s For Dinner. campaign and the iconic “Hoedown” tune nostalgically humming in the background. Display imagery will accompany the radio ad and features steak, the BIWFD logo and the Alabama Cattlemen’s Association logo. It is projected to reach over 68,000 around twice weekly throughout the lifetime of the campaign. The membership total of the day is 9,750! Anyone who would like to have a list of non-renewed members from their county to call for renewals please let Membership Coordinator Jessica Kennedy know. We are only 250 members away from 10,000. This is our last push for 2018, and we ask that you please send us any members you have. Please don’t hold them for 2019 because we want to make sure they start getting their magazine, and we definitely want to hit our goal of exceeding last year’s membership. Our strength is in numbers. Join the effort and call your counties’ non-renewed members before June 30. Yesterday, Senators John Hoeven (R-N.D.) and Michael Bennet (D-Colo.) introduced the Modernizing Agricultural Transportation Act, bipartisan legislation to reform the Hours of Service (HOS) and Electronic Logging Device (ELD) regulations at the U.S. Department of Transportation (DOT). Further, the enforcement of the ELD rule would be delayed until the reforms required under the bill are formally proposed by the U.S. Secretary of Transportation. Congressman Ted Yoho of Florida and 38 bipartisan original cosponsors, including Congressman Mike Rogers from Alabama, introduced the House version of the Transporting Livestock Across America Safely Act yesterday. The only difference between the Senate bill- S. 2938 and the House version, is the House version includes those hauling live fish as well. (live fish includes fish not specifically for food) The hope is that this gathers even more support from our friends in the Southeastern part of the country. We’re seeing blue…LOTS of it as those timeless blue corduroy jackets flood the streets of downtown Montgomery for the 90th annual Alabama FFA State Convention. Between luncheons, receptions, award presentations, contest judging and the career show, you could ALMOST say that this week’s theme is National Blue and Corn Gold. Why almost? You ask. There’s much happening this week in relation to those beloved blue jackets that’s keeping staff here at the ACA busy. First, we would like to congratulate three Junior Cattlemen on an outstanding year serving as state FFA officers. Cameron Catrett (Crenshaw County) has served the past year as FFA State President. She will recite her retiring address entitled “Put On Your Perspectacles” at the Fifth General Session. Will Jordan of Clay County will hang up his FFA State Reporter jacket with his retiring address “Your Life Matters,” and Bryce Hendricks (Coffee County) will close out his term as FFA State Sentinel after offering his retiring address he has titled “Staying Committed.” Congrats to all three on their notable leadership and their bright futures ahead. Aside from enjoying the General Sessions, ACA staff will be found hosting the FFA Wall of Honor Luncheon at the Cattlemen’s Building, holding down a booth at the career show and presenting the checkoff-sponsored Meat Evaluation contest award to this year’s winners. We also look forward to a full week of blue coats in The MOOseum as they explore the impact of Alabama’s beef cattle industry. Welcome all FFA students, parents and teacher to Montgomery. The future sure looks bright! YCLP Class II alumni and Lowndes County cattleman Bradfield Evans is representing Alabama this week on the Young Cattlemen’s Conference (YCC) that the National Cattlemen’s Beef Association hosts each year. This 10-day excursion across the country hosts over 60 producers from 25-40 years of age to experience the cattle industry like never before. They have seen farms, feedlots, packing plants, retailers, NCBA and are now spending a few days on the Hill in D.C. Bradfield is on several visits today with our congressional delegation, and we know he is prepared is represent Alabama as he discusses real on-farm concerns and thanks our leadership for the support they give us. The membership total of the day is 9,750! Anyone who would like to have a list of non-renewed members from their county to call for renewals please let Membership Coordinator Jessica Kennedy know. Our goal is to reach 10,100 or more. Send in any membership you have so that we can reach our membership goal for 2018!! Leadership: Jessica now has all of the presidents coat sizes, but she need eight more shirt sizes from county secretaries. An email has been sent regarding who those last few are, so please get that information submitted so we can proceed with ordering your prizes! Speaking of prizes, be looking out for an email on Friday with the updated recruiting for Top Hand prizes.